Shorter than a book but longer than an article, I’m a fan of the digital short. It offers the reader the satisfaction of finishing something on their tablet within a journey or two, and the writer the chance to start a project with an end in sight. For certain subjects, the length of this emerging form is, like Baby Bear’s porridge, ‘just right’. The only problem is what to call it. ‘Bookette’? ‘Midform’? My first foray into the digital short, a mini-travelogue called In Search of Glastonbury, is clearly a ‘travella’. I’ve also edited my sections of my full-length book The Secret Life of God into short, standalone reads for those interested in specific areas of religious life. You can find details of work in progress on the Forthcoming page. One spring evening a young fox appeared in Alex Klaushofer’s suburban garden, apparently asking for help. Her accidental fostering of Little Fox led her to, five years later, to volunteer at a wildlife rescue centre in the West Country, following the fortunes of a litter of orphaned cubs as they grew to adulthood and were released back into the wild. 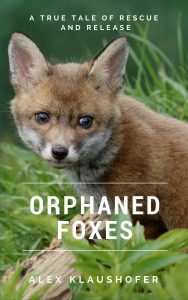 Part reportage, part nature writing, Orphaned Foxes gives a rare insight into one of Britain’s most secretive animals, revealing much about our relationship with wild animals and the complexities of modern conservation. 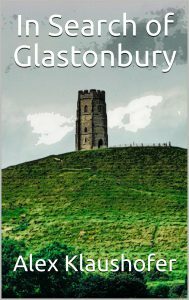 Glastonbury promises big things to its visitors – to meet their spiritual needs, possibly even transform their lives. Alex Klaushofer – fancying herself a latter-day female incarnation of H.V. Morton – went to explore how far twenty-first century Glastonbury lives up to its promise of being a New Age mecca for our times. Combining interviews with some its most informed residents and undercover work as a mystery spiritual seeker, she gets under the skin of this eccentric English town in ways that reveal both its folly and its charm. As growing numbers of people embrace nature-based spiritualities, Druidry – arguably the indigenous faith of the British Isles – is undergoing a resurgence. 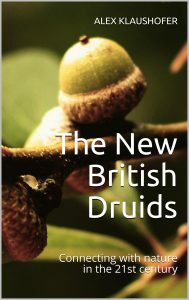 Journalist Alex Klaushofer brings a sympathetic yet detached eye to contemporary British Druidry, talking to the movement’s leading figures and experiencing Druid life first-hand through the rituals of a summer camp. The resulting piece of reportage gives a unique insight into modern paganism and how an ancient faith is metamorphosing into a contemporary way of connecting with nature. Britain’s Muslims are often caught between a polarised image which portrays them as either religious extremists or ordinary citizens no different from their secular counterparts. 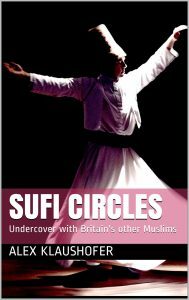 In this piece of reportage, journalist Alex Klaushofer goes undercover to explore the little-known world of Britain’s other Muslims – the modern-day followers of the ancient mystical tradition of Sufism. 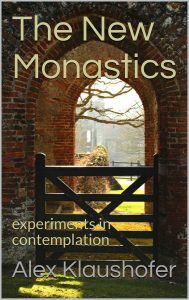 While traditional monasticism is on the decline, the rise of new religious communities shows that there is still a hunger for the contemplative life. In a piece of reportage which reveals how the life of the spirit is rooted in place, Alex Klaushofer visits two groups who are pioneering modern monasticism: a Benedictine start-up and an ecumenical community following in the steps of Bonhoeffer. The hermit – that strange, solitary figure – is generally thought to belong to the past. Yet in this surprising piece of reportage, Alex Klaushofer reveals how solitary spirituality is alive and well in Britain today. 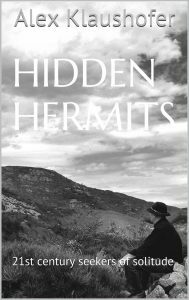 She visits a hilltop hermitage to interview a hermit of some forty years’ standing and uncovers a network of modern solitaries seeking silence in the everyday.